*The following is an edited transcript of an interview conducted for European Alternatives’ forthcoming documentary, Demos: Solidarity in Europe. 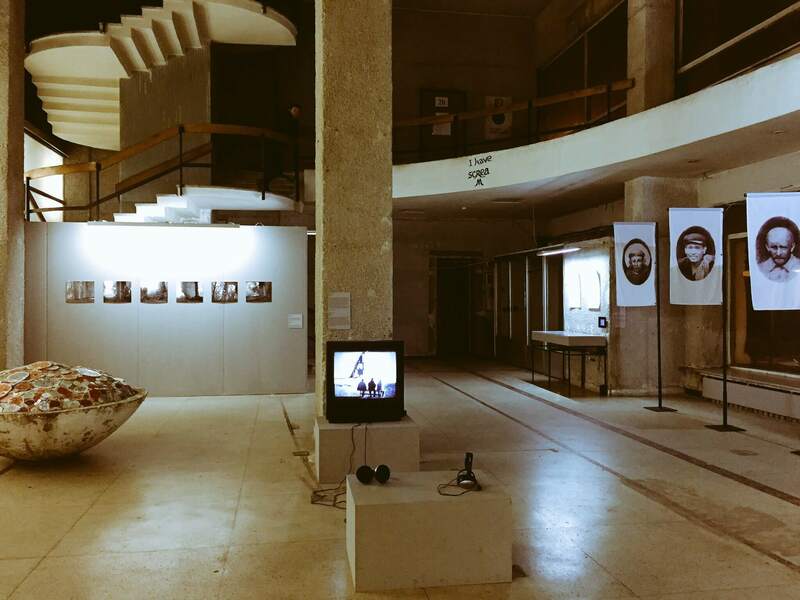 European Alternatives: Tell us how the Kiev Biennial originated, and about the work of the Visual Culture Research Centre. Why did you start working on these projects? Vasyl Cherepanyn: We started nine years ago inside the University. We founded the Centre together with a bunch of colleagues mostly from the Cultural Studies Department. Then in 2012 the President of the University and the administration first closed and then cancelled one of our exhibitions called “Ukrainian body”; they also evicted us from the University. So from that point on we started an organization that was an independent one, and we managed to operate in different locations in Kiev. We were present during the Maidan events. We held the open university directly in the square, together with the protestors. We had a program called “Global protest” in which we tried to inscribe Maidan in the range of different social and political uprisings around the globe, starting from Occupy Wall Street, to the Indignados movement, to the Arab Spring and so on. I’m still more than sure that Maidan is part of that wave of uprisings. Maidan is the best example of a real Ukrainian International, so to speak, because those who were killed in Maidan represented different countries: they were not only Ukrainians, they were from Belarus, Armenia, Azerbaijan, different countries, also from the post-Soviet area and beyond. VC: Movements occupying squares, yes, certainly. Then after Maidan we managed to open our own premises, we obtained institutional support to run the space. Since 2014 we have been functioning as a cultural centre which is, in general, based on art, knowledge, politics, so we are combining academic representatives together with art circles and grassroots political networks and movements. Since 2015 we have also organised the Kiev Biennial, which also started after Maidan, with the title “The School of Kiev.” This year we further elaborated and developed the idea behind the “School of Kiev” turning it into a political school of internationalism. EA: ‘The New International’ is a powerful concept at a moment when, on the contrary, we see nationalism making a comeback. Why did you decide to go against the current? VC: If the previous edition was rather about locality, about Kiev, a specific place, this time it was more about stepping beyond and inviting an international audience to our country. The idea of a Kiev International is very important. It is not some abstract concept, and it is not only about globality, because we are rooted in a context, that of Kiev, and this is especially important today, at a time when all trends, locally, transnationally, are going in completely opposing directions: you have re-nationalisation, but also localisation, the governing of global capital. I think that under such circumstances, when all these trends that we are observing today are politically very negative, there is sort of no other way around it than to be radical and to reclaim this international idea, which has been forgotten in today’s political scene. EA: How do you conceptualise this idea of “international solidarity”? We have had several internationalisms in the past: the republican internationalism of Mazzini, the socialist internationalism, a certain anarchist internationalism, and of course, the non-aligned movement. But it seems that today we need to invent something new, which may allow us to go beyond previous models. VC: Firstly, I would say that today’s idea of an international model is somehow grounded in the urgent need of a functioning international solidarity. Solidarity cannot be based only at a local level. It should be international always, by definition. This is true for Europe in particular, where we aim to develop something new, a new vocabulary, a new lexicon for a new International, which we are trying to define. I think that today this concept of internationalism is indeed a matter of urgency, and of value. Also, if you think of Europe and beyond – I am treating Europe not only as the EU of course, I’m including all peripheries, which are important for the centre, an imaginable centre of Europe – it is very important to say that this unity, an international unity, was, to be honest, quite a communist idea at the beginning, so we can say that the choice of the October revolution as a theme to work on this year, symbolically, is grounded in this, it is a step towards European unity. I believe that today in particular, in a context of “warfare”, a context in which new walls are being built, in which peripheries are swept by conflicts, also inside the Schengen Area, it is very important to stress and to remember what Europe as such began to realize after the atrocities of the holocaust, following the war crimes of World War II, something that was already on the agenda of the progressive political forces at the time of World War I. I think this is especially important for the so-called post-Soviet area we live in today, the fact that somehow we have experienced this. This must be realised, it is only a matter of time. It can indeed be postponed, but it is unavoidable, because progressive political forces are rooted in the claim of an internationalist idea. Also, what is extremely important is to think of the re-nationalisation taking place, the rise of far-right populisms, unfortunately, in Ukraine and elsewhere, in different European countries: this internationalist idea must not be devoured by the far-right. All attempts to create a sort of Fascist International have failed because they are, structurally, by definition, based on the idea of some specificity, some difference, on the ideology of difference, so to speak. They might even be socialists, national socialists, but they cannot in any way be international socialists, in a real, communist and progressive sense. EA: After many years of work across a number of European countries, what really struck us, especially in the Eastern parts of Europe, is that the concept of Europe is experienced with emotion, passion, conviction, staring from Eastern Vienna, where we heard some of the most inspiring views on what Europe should be. You mentioned solidarity and we wanted to ask you, in this context, what you would you make of it. What does this term, often very elusive, actually mean? VC: Well, it really reminds me of this famous Marxist expression: “all that is solid melts into air”, and today we are really living in these so-called liquid times, when everything has evaporated from the ground. VC: Yes, absolutely, that’s why I’m totally in defence of the lost causes, I’m trying to stick to those solid concepts that somehow prove to have functioned and which aim to some utopia. What is missing today is a question concerning political power and imagination, also as regards Europe. Because Europe continues, the EU continues to function like a bureaucratic automaton, and that is why there is so much passion; also, I hope this will become clear not only in Eastern Europe – this is how we perceive it here –, the fact that there is an effectively functioning European solidarity emerging exactly because of what we have witnessed, these processes we have observed recently, the crisis in Greece, the crisis in Southern Europe, including the war in Syria – which is also Southern Europe, in many ways. These are indicators of the lack of an effective and functioning solidarity. And in this sense I think that, with regard to Europe, there is no other way out. I would say, speaking from Ukraine, Kiev, I would like to say: “Europeans, please don’t leave us with the Ukrainians”, because without that kind of international pressure you are stuck in this local swamp, in which it is simply impossible to have any kind of political horizon. This situation would be a mere dead end. Would you like to help us build another Europe?